Our experts will visit your site to assess the visibility and strength of any wireless access points into your business and examine their resilience to attackers. Weak passwords are an inherent problem of wireless networks and it is not unheard of for an attacker to carry out an attack from a business’s car park, having easily bypassed the wireless password and gained full entry to the internal network. Our Wireless Testing Report will identify deviations from best practice and set out recommendations for action. Our cyber experts will present your Wireless Testing Report to you alongside a clear explanation of the risks, comprehensive remedial advice and a set of recommendations. So you know that you're in safe hands, we have a number of cyber accreditations to offer you peace of mind that your businesses security is being testing ethically and securely. 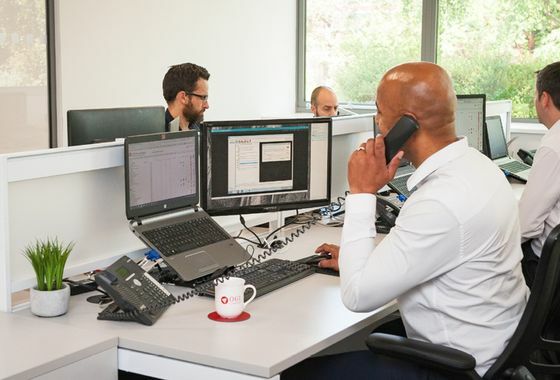 We're proud to be a member of Tigerscheme, which is a commercial certification for technical security specialists backed by University standards, and approved by the National Cyber Security Centre (NCSC). This certification gives our customers, looking for security services, confidence that they are working with a recognised and reputable company.